President Barack Obama said Friday that America is "horrified" by the shooting targeting police officers in Dallas, and he said there is no justification for the violence. Obama will cut short his European trip this weekend and will travel to the city early next week, the White House said Friday evening. Obama is in Warsaw, Poland, where he is meeting with NATO and European Union leaders, and will travel to Spain Saturday, but is to return to Washington, D.C., a day early, on Sunday. "The President has accepted an invitation from Dallas Mayor Mike Rawlings to travel to Dallas early next week. Later in the week, at the White House, the President will continue the work to bring people together to support our police officers and communities, and find common ground by discussing policy ideas for addressing the persistent racial disparities in our criminal justice system," the statement said. 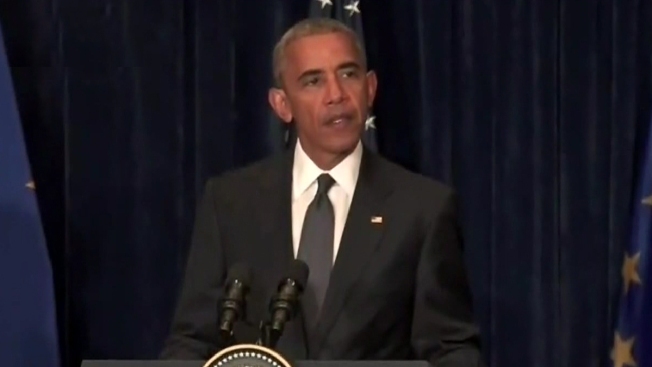 In a brief statement to reporters Friday morning, Obama said the investigation into the shooting continues but "what we do know is there has been a vicious, calculated and despicable attack on law enforcement." 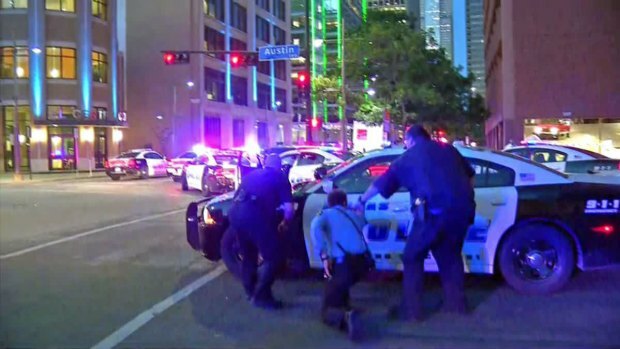 A protest against nationwide officer-involved shootings turns violent in Dallas's downtown area. In the end, five police officers were killed by two men who were in sniping positions above ground, according to authorities. Another 6 officers were injured. Obama called the motive for such an attack "twisted" and vowed those responsible would be brought to justice. "There's no possible justification for these kinds of attacks or any violence against law enforcement," Obama said, noting that he had spoken with Dallas Mayor Mike Rawlings and offered his support and condolences. Obama arrived in Warsaw early Friday shortly before a sniper opened fire on police officers, killing five officers and injuring six others during protests over two recent fatal police shootings of black men. On Friday afternoon, multiple senior U.S. law enforcement officials said the investigation so far has led them to believe that Micah Xavier Johnson was the lone gunman. Police initially said they believed there were two shooters. 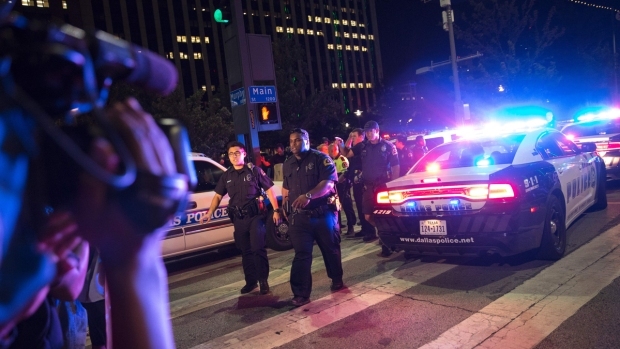 After the standoff ended, Dallas' police chief gave no more details about a possible second shooter. The law enforcement officials told NBC News that they believe Johnson acted alone and investigators have not found ties between Johnson and any extremist groups so far. Immediately after landing in Warsaw, and before the shooting, Obama had earlier expressed solidarity with protesters. In those comments, he aired his frustration with what he said were racial disparities in the justice system. He also argued there was no contradiction between supporting law enforcement and working to see that biases in the criminal justice system are rooted out. Obama emphasized another part of his message later Friday. He called the shootings a "wrenching reminder of the sacrifices" that police office make every day.